Many people believe the traditional telephone has gone the way of the cassette tape and fax machine. Truth is, an updated phone system can provide your home and business with many invaluable safety and communications features. Klepps Phone and Intercom systems for the home or business include speakerphone, teleconferencing, whole-house intercom, station-to-station calling, speed dialing and computer integrated voicemail. Traditional cord telephones work even when the power is out. When you call 911, dispatchers can pinpoint where you are even if you are unable to speak. Wireless Handsets (with optional headsets) have a broad range, excellent clarity, protect against eavesdropping and allow you to move freely around your home. 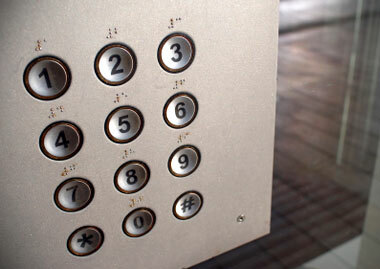 Handsets in multiple rooms prevent often-dangerous sprints through the house when the phone rings. Night Mode allows you to program each handset to ring at your discretion. Talking Caller ID announces the name and number of the caller between rings. Call Forwarding can transfer calls to your mobile phone. Wi-Fi Phones allow affordable point-to-point calling around the world. Telephone Intercom Systems allow you to call another handset or page an entire group of people with the touch of a button. Alarm System Integration enables the phone to ring with a distinctive sound when someone rings the doorbell; you can pick up the phone and safely communicate with the person outside from behind your locked door. Multiple Line Operation enables you to place your current call on hold to make another call or engage 3-Way Calling. Conference Speakerphones allow hands-free conversations. System installation estimates do not include continued subscriptions to the phone company of your choice.